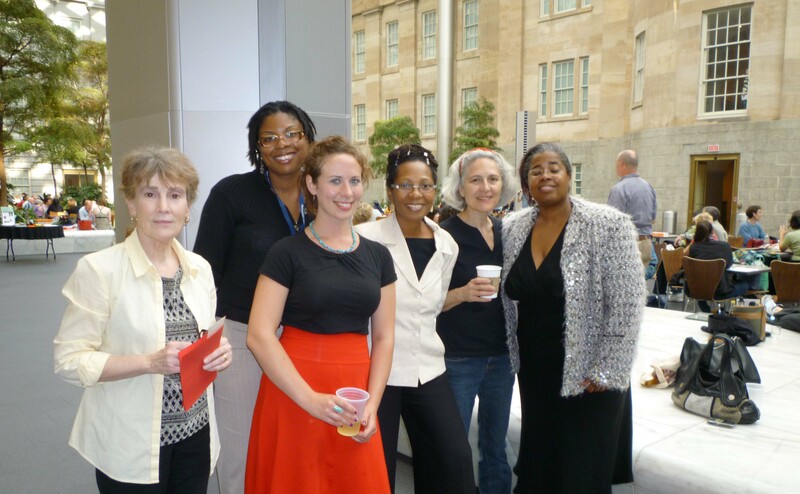 About a week ago, a group of Calvary’s dedicated Life Skills volunteers got together for a “Life Skills Leaders Connect” event at the National Portrait Gallery courtyard. The fun evening – complete with a free bossa nova concert in the background – provided a unique opportunity for volunteers to share with each other stories about the personal growth they have experienced while leading classes for the women at Calvary in topics including healthy eating, healing, and stress management. I have grown in many ways since I became a part of the Calvary family over two years ago, first as a volunteer, and now as the Life Skills Coordinator. As time passed, I took on more responsibility and gained more hands-on experience at Calvary. The result has been that I feel more equipped to take on the responsibility of being an aware citizen, a compassionate neighbor, and a strong advocate for human rights. One of the things I love about Calvary’s Life Skills educational program is that it gives volunteers the opportunity to grow through the activities they lead with our residents. Volunteer-led lessons on topics such as financial management, healthy cooking, and self-esteem have such a profound impact on transitioning the women in our programs towards healthy, independent living. Even leading an arts and crafts session, game day, or throwing a birthday party may not seem significant – but it is. Social interaction and relationship development are also key components in our programs. Often, it is the personal interaction and human connection facilitated in our Life Skills classes that can have the most powerful impact on the lives of our residents and our volunteers. Our Life Skill Leaders give so much of their talent, wisdom, and compassion to Calvary. Likewise, many volunteers have told me how becoming a leader has touched their lives in a significant way. If summer has left you with more flexible time, now’s the perfect time to join our team! I will be scheduling one-time classes for those wanting to “get their feet wet” as a Life Skills volunteer. This summer we are in need of Life Skills volunteers for both our Calvary Women’s Shelter and Pathways programs in the following areas: yoga, exercise, arts and crafts, Friday Fun activity facilitator, and stress management.